Yoga might save the world. It offers several benefits to humanity. It increases self-awareness and self-love and bridges the relationship between mind, body and spirit. Melissa Ghattas is a yoga teacher based in Dubai. She aspires to guide students to practice yoga with awareness, freedom, respect and joy. 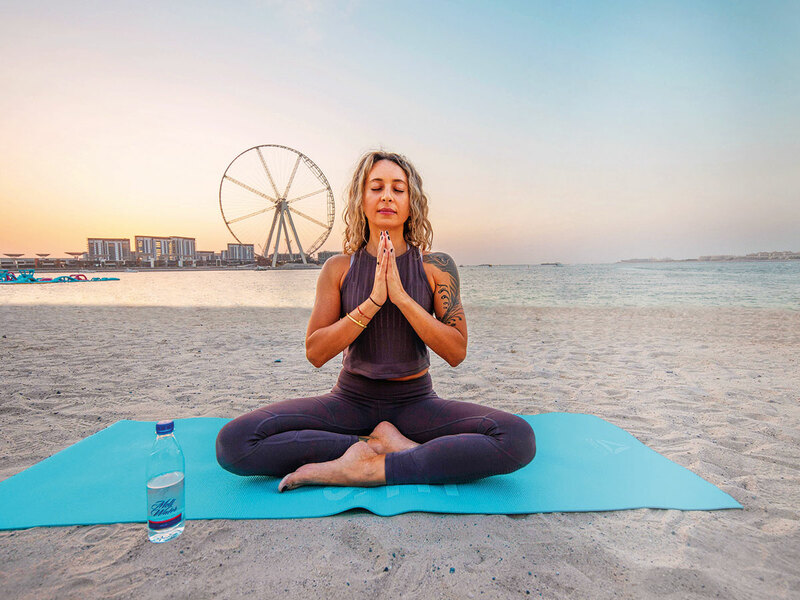 A dedicated student of yoga since 2006, she will be hosting the XYoga Dubai Sundown Breath on November 24. Gulf News tabloid! spoke with her about how yoga changed her life. I began practising yoga in 2005, while I was working as a flight attendant. During a time when I was feeling ungrounded and disconnected, I turned to yoga as way to be more in tune with my body and less “in my mind”. Has the practice changed your life in any way? My life has completely changed through yoga and through my understanding and acceptance of myself, it has enabled me to experience peace and self-love. To express how your life can change through yoga in just a few words is quite challenging. How can one convey the impact of removing the illusions of the mind and discovering the strength of the body? Yoga must be experienced. It has to be practised diligently, because when you do, it brings together the fragmented parts of a person into a wholeness that is innate. Do you do any other work outs other than yoga to stay healthy? I predominantly do yoga but I try and work in one barre and gymnastics class per week on top of my practice to build up my strength. How does meditation improve your life? Meditation is, in essence, an internal journey to help us answer the question “Who Am I?” — Who am I beyond my name, my title? Who am I beyond my possessions? During meditation, we witness the fluctuations of the mind and learn the fundamental truth that everything is changing, nothing is permanent. This awareness helps us understand our true nature as calm, clear and peaceful beings. What kind of health problems can yoga fix? Yoga is a holistic approach to maintaining optimum health for the body and mind. It will strengthen and support the entire immune system while reducing stress levels to fight diseases and any imbalances. Yoga improves mental focus and stamina, while certain postures calm the brain, reduce stress and anxiety. Overall, it increases blood flow to the organs resulting in new and improved energy. Over time, we feel more balanced, more centred and connected not just in body and mind but also more connected to a higher and greater force. Most of our mental stress arises from the erroneous belief that we are our thoughts — our unconscious limited thoughts that keeps us constricted and separate. In my opinion and experience, yoga is a tool that aids in creating space. We cannot think ourselves out of the prison of thoughts but through yoga, we learn to redirect the mind through various meditation techniques. It clears out the dust, helps us change our perspective and view it with more clarity. The journey of yoga is to return to being spacious, free, open, trusting and loving in body, mind as well as spirit. How many times do you practice yoga a week? I practice the asanas [postures] — the physical aspect of yoga — 6 times per week and meditate every day. What kind of yoga practice is your favourite? My practice consists of Ashtanga Vinyasa and Vinyasa Flow, as these are the two styles that resonate with me the most. I find that I get my deep focus and discipline through Ashtanga; and my creative feminine expression through Vinyasa flow. What kind of yoga will we do for the upcoming XYoga Dubai session? I will be sharing a gentle Vinyasa flow practice that will be safe for all levels of practitioners along with a meditation session. Location: Caesars Bluewaters Dubai. Parking is available through the hotel valet service. Timing: November 24, 2018 4pm arrival for 4:30 start. Check-in opens at 3:30pm and will close at 4:20pm. Please note that there is a 10-minute walk from the hotel entrance to the beachside yoga session location.